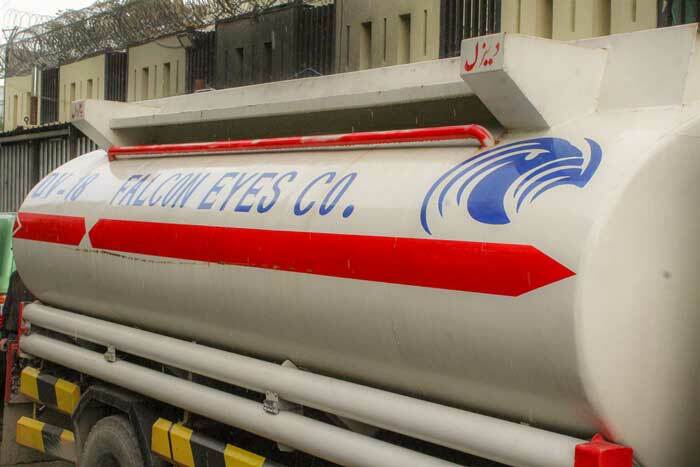 Petroleum - Falcon Eyes Co.
Falcon Eyes Co offer and supplies complete range of land petroleum, liquid propane with the local or specific specification to military forces, government entities and commercial sector clients. These products include both commercial and military specifications. Our chain of supply and fuel storage facilities enables us to provide high quality fuels and propane rapidly and efficiently. 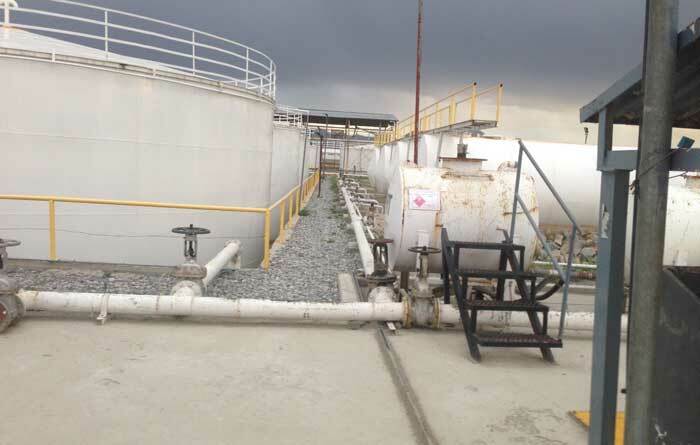 We operate 7 Bulk Fuel Installations with a total capacity of over 25,000 Metric Tons of liquid fuels and propane. 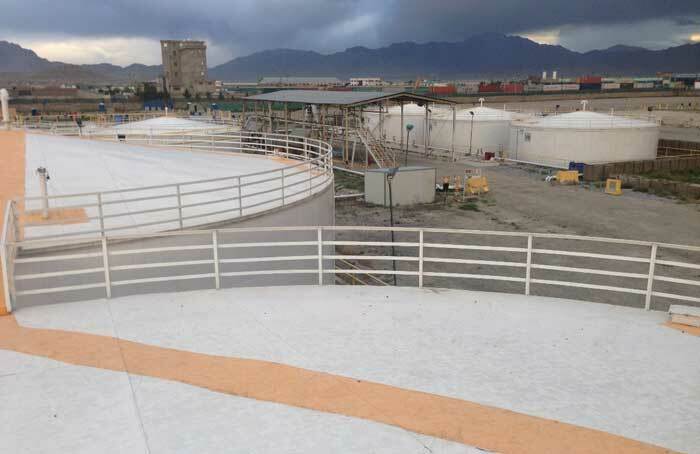 The storage facilities are located strategically to enable rapid supply to forward refueling points in 34 provinces of Afghanistan. Our commitment to quality, excellent customer service and competitive prices has helped us gain the confidence of our clients and sustain long term relationships with them. 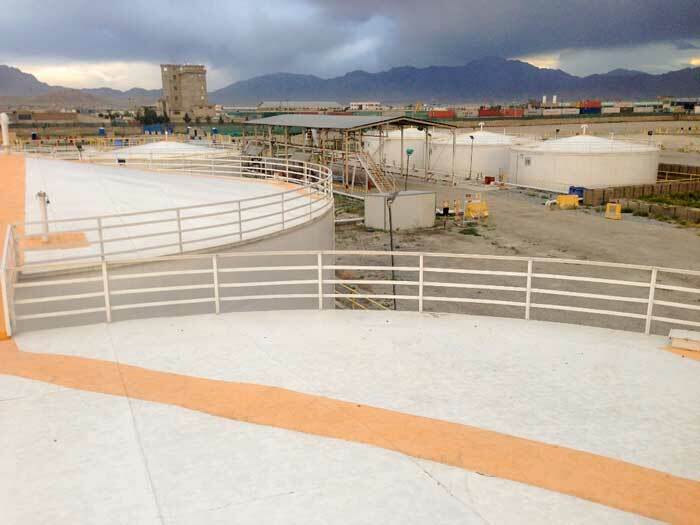 We have established fuel depots at many parts of the country - even at the most remote locations in Afghanistan. 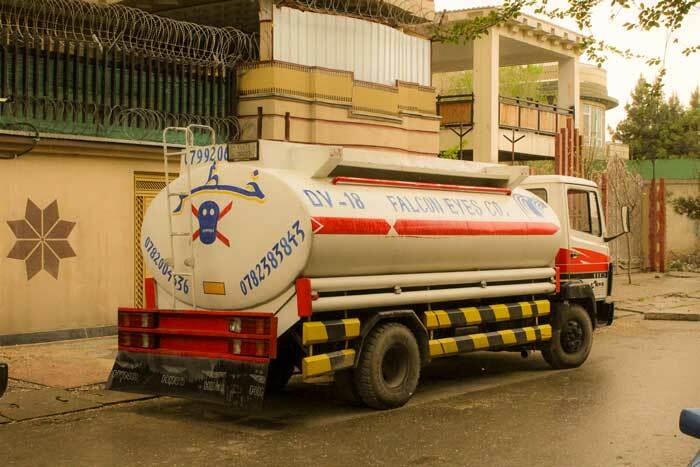 FUEL STORAGE Falcon Eyes Co provides service to over 77 locations throughout all 34 provinces in Afghanistan. We have delivery points throughout Kabul, Kandahar, Jalalabad, Mazar-e sharif, Gardez, Herat. As the heaviest distillate, fuel oil yields 7.1 - 7.2 pounds per gallon. Fuel oil is combustible rather than flammable; it needs to be fired through a combustion chamber. Popular with homes and businesses as furnace fuel, No. 2 fuel oil typically travels from a refinery or loading terminal to a bulk plant where it is transported to a home delivery truck. 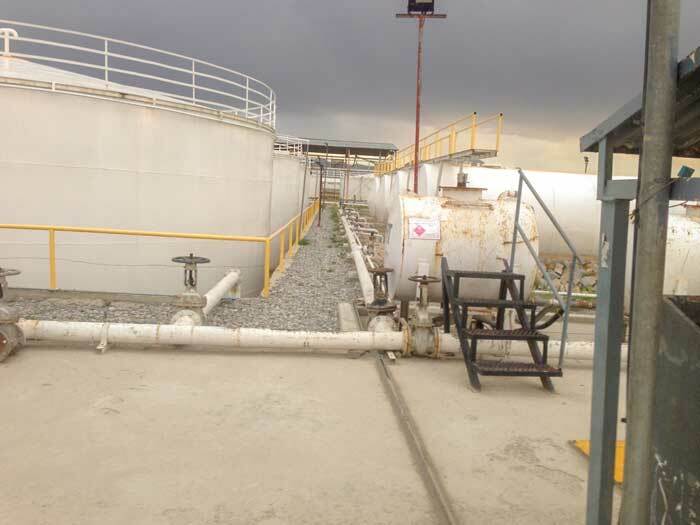 Used primarily for airplanes, jet fuel is a flammable, higher refined kerosene product transported from a terminal or refinery to an airport or airbase. Like automobile gasoline, different grades of jet fuel like JP8 and Jet A contain different additives and components associated with standards developed from the American Petroleum Institute (API). Commonly derived from corn, ethanol fuel requires transportation in government-certified MC 306 or 406 cargo tanks. Highly flammable ethanol may be transported up to 11 000 gallons per load and many states require that a 10% blend of ethanol be used in every gallon of gas sold. Typically transported in stainless steel tanks to minimize oxidization, bio-fuels derive from soybean, corn, or other plant and animal sources. Some states mandate a 5% mix of bio-fuels be included in retail products like diesel, fuel oil, and No. 6 oil. As part of its extensive range of fuel industry services, FALCON EYES CO the fuel lab is fully equipped and BS EN 12662:2014 compliant. Fuel is critical to industry and if that fuel is contaminated, equipment and vehicles can suffer extensive damage, resulting in costly repairs and downtime. 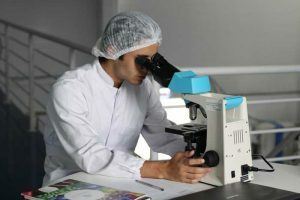 Fuel testing is an essential part of the industry management services LCM delivers to its client partners to ensure their organizations operate at maximum efficiency. FALCON EYES CO extensive range of fuel management services keeps both global petrochemical companies and independent operators on the move. As well as testing, FALCON EYES CO will manage your fuel polishing and tank cleaning to keep your fuel quality at optimum levels of efficiency. As well as a laboratory service, FALCON EYES CO offers additional fuel testing options. The company’s trained staff provides an on-site, field-testing service. Alternatively, if you prefer to take your own samples, fuel testing kits, full training and access to our Fuel Quality Management Database is available so you can see your fuel condition online.